Well, being in Minneapolis has it's perks. Not only do we get to brag about being hardy folk, we get to prove it on days like today. We had about 10 inches of snow throughout the day yesterday and everyone living in the Twin Cities was posting beautiful instagram photos all day long capturing the snowfall. Today, our Minneapolis perk is that our plows are ready and responding. Though everything is blanketed with snow, we were able to get to Light Grey, no problem. Just a little bit of slipping around on the road never hurt anyone. 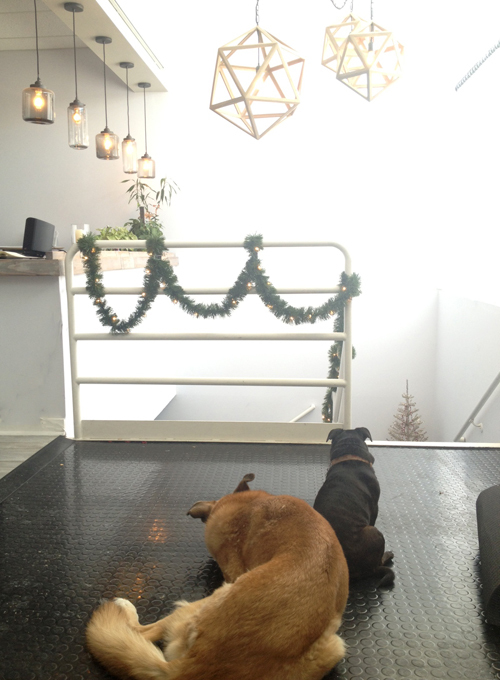 The dogs are here today enjoying the quiet afternoon. They're here with us most days and today is no exception. 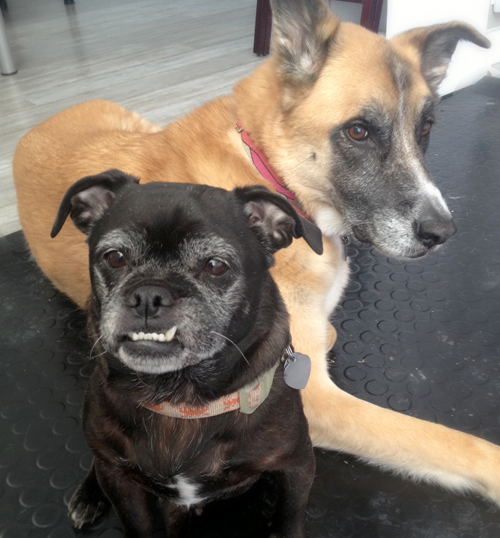 Say hello to Twinkle and Atari, our funny old dogs.